I am so happy to finally add a piece of art to my growing collection by Ashley Longshore. Ashley's pop art style of painting is totally unique. One of my favorite series is her Bottle Fed series. 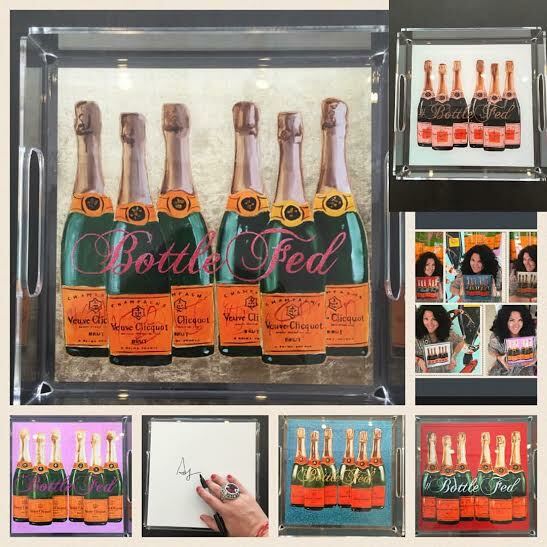 The art features Veuve Cliquot, my very fave champagne. Cheers! 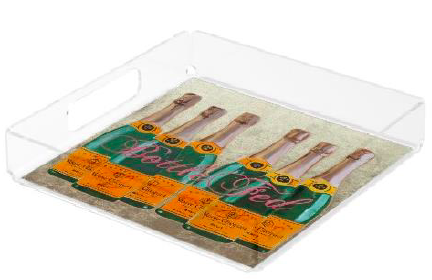 Today, she offered a one time offer for an acrylic Bottle Fed tray in several colorways. I was overjoyed to snag a gold leafed one. This sale was red hot. 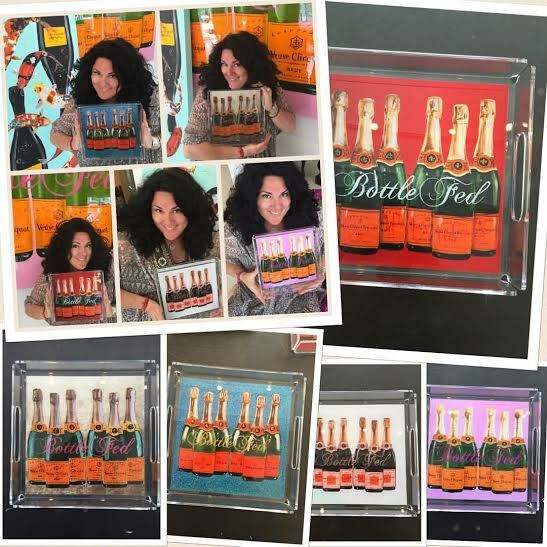 More here: In celebration of Ashley hosting Veuve Clicquot at her studio, we have this special opportunity for her collectors to snag a limited edition "Bottle Fed" tray. This collection celebrates the good times in life. Popping open that bubbly and celebrating with friends and family. Ashley thinks everyone should be bottle fed...and now you can be. 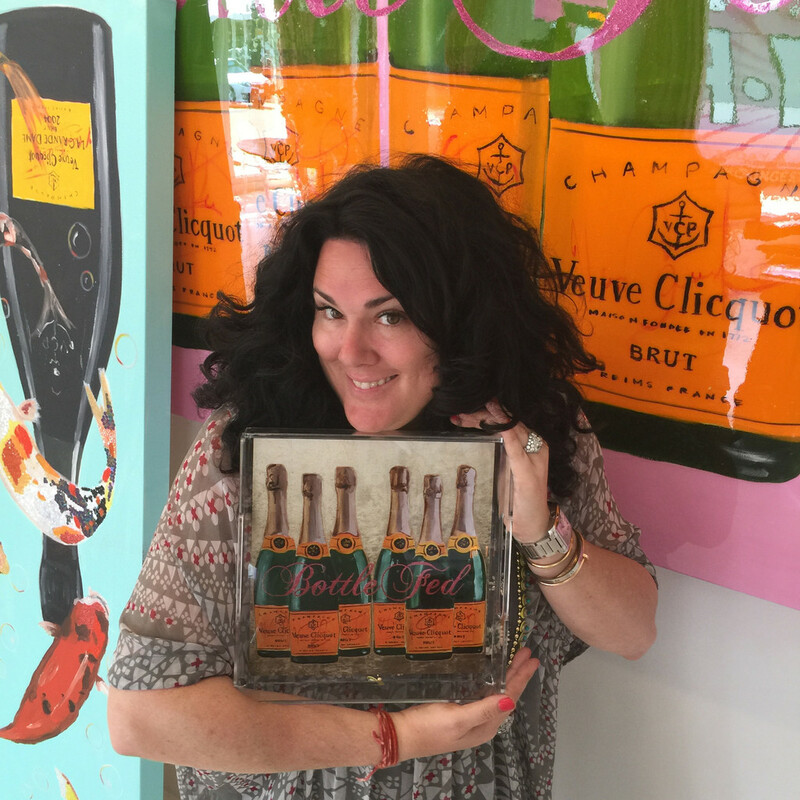 Hand-signed acrylic tray with Ashley Longshore "Bottle Fed" Gold Leaf painting. You can see more: click HERE! 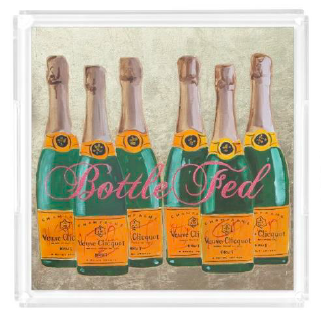 I cannot wait to get the tray and add it to the bar. Tres chic!